Education in Tanzania is in a crisis. The government announcement of ‘fee-free education’ in 2015 has caused an infrastructure crisis in learning centres, with primary school enrolment doubling to around 8 million pupils. Even though, nationally, more children are being educated, the quality of education is poor as teachers face challenging working environments, with limited resources, training and support. Girls living in rural pastoralist communities are particularly at risk. Family displacement, initiation ceremonies, female genital mutilation, and early and forced marriage greatly impacts their educational performance and ability to remain in school. Twelve-year-old Anastazia is a student at Bisigeta Primary School and she is from Iraqw tribe, an agro pastoralist community. 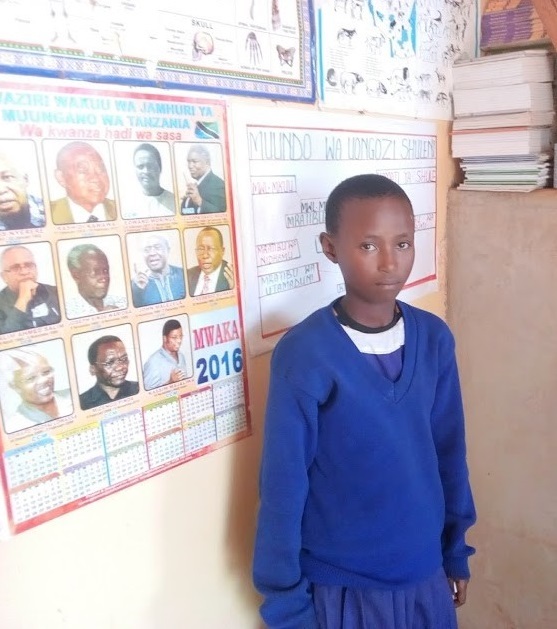 She knows several girls from her Bisigeta village, in Mbulu District, Manyara Region who are being denied the opportunity of an education because of forced marriage, female genital mutilation, unplanned pregnancy and gender-based violence. received training which included participatory teaching methodologies and guidance and counselling skills; this will help create an inclusive and supportive learning environment for their students. were developed in 10 project schools to strengthen awareness of a child’s rights to be protected from harmful cultural practices.